What Do You Know About Mysteries? What Do You Like? Tell us one thing you know about mysteries. It can be a tip or observation. Or tell us something you like. Or, you can agree with what someone else says. I like mysteries that are character driven, rather than plot based. I love to get into someone's head and experience that person's emotions. If an author does it right, it doesn't matter to me if the plot is simple or intricate. Okay, your turn. Please share. Morgan Mandel writes thrillers, mysteries and romances. 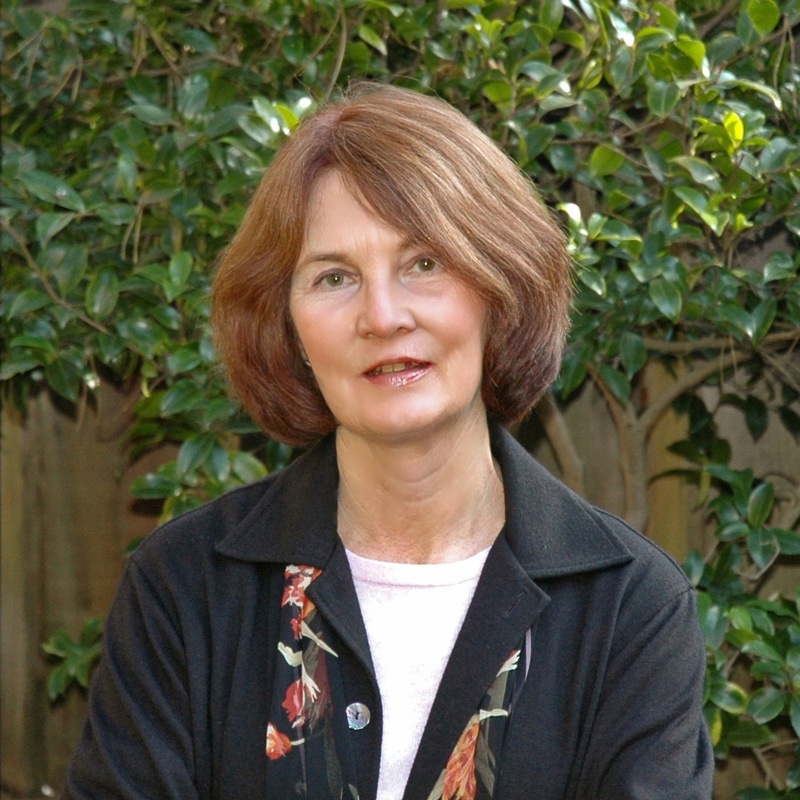 Jonnie Jacobs is the author of the Kate Austen suburban mysteries and the Kali O’Brien novels of legal suspense. 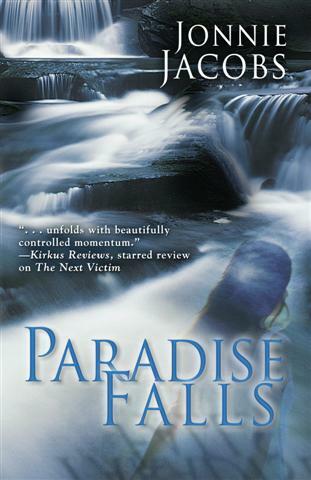 Her newest book, Paradise Falls, is a stand-alone about the disappearance of a teenage girl. Jonnie is a former practicing attorney, a founding member of SinC Norcal, and the mother of two grown sons. Jonnie, tell us about Paradise Falls. With Paradise Falls I wanted to write a suspenseful mystery, but I also wanted to explore the effects of crime on families and the doubts and suspicions that ensue. Grace Whittington is married to her second husband with a happily blended family of teenage children. When Grace's daughter disappears and Grace suspects that her teenage stepson is to blame, the fault lines of a seemingly typical family crack. The investigation also takes a toll on the detective as the case becomes increasingly personal for her. Why did you decide to leave the legal profession to write full time? It wasn’t so much an actual decision as something that sort of just happened (like so many things in my life.) I was working at a large, high-pressure firm and I had two very young children. I took a leave of absence to spend time with my family, fully expecting to go back, or to at least go back to the practice of law. At the same time, I started writing (something I’d always wanted to do“someday.”) Initially, I was writing for the sheer pleasure of it, but one thing lead to another and I began to take my efforts seriously. My first Kate Austen book was published, followed by a Kali O’Brien book. I never did go back to practicing law. How do your Kate Austen and Kali O’Brien series differ? Kate is an amateur sleuth, a single mother with a cop love interest, and the tone is much lighter in this series. When my first Kate book came out, there wasn’t really a category for this type of book. Now, it fits as well into the “mommy lit” or “chick lit” category as it does into mystery. Kali is a lawyer, never married (although she’s had her share of romances and relationships) and her approach to investigation is much more direct and professionally focused (most often on the defense side, but working with the police and DA’s office in Cold Justice.) I do, however, give Kali some personal stake in each case because I think that adds depth to the story (and this is the sort of book I like reading and writing). Which do you prefer, writing series or standalone novels and why? They each have their advantages --- and drawbacks. With a series, you’re working within certain, already established, parameters. Many of the character decisions are already made, and that often limits plot possibilities. But since each book is a chapter in the life of the main character, there’s room to reveal more and dig a bit deeper with each book. With a standalone, it’s a fresh slate. Not only can I create characters from scratch and make them into whatever I need for the plot, I also get to decide about voice and tone and point of view and all the other little considerations that go into crafting a novel. As to which I prefer - I’m usually drawn to whichever I’m not working on at the time. I think I suffer from “grass is always greener” syndrome. Have you based any of your novels on previous legal cases you’ve handled? None of my novels sprang from my work professionally. I was a business attorney, not a criminal attorney, so the cases I was involved with were hardly the stuff of drama (which may be why writing fiction has such appeal to me.) That said, there is something in each book, usually something key to the impetus in the story, that is personal to me. That doesn’t mean it’s something I experienced firsthand, but rather an experience or problem that involved someone I know or that I read about in a way that touched me. How do you promote and market your books? That has changed greatly over the years. When my first books came out, independent and mystery book stores dotted the country, and many were eager to host author events. I did signings and readings and gave talks, and often travelled with other writers covering several states on a tour. My publisher also sent me on tour. What’s more, newspapers had regular book review sections that brought new books to readers attention. Things are different now. Although I do occasionally do presentations, I find I do most of my promotion online or through “human interest” stories in local newspapers and web sites. I’m not nearly as devoted to this as many other authors, or as I probably should be. I don’t have a blog, but I do guest blog now and then. I contribute to interest group sites and lists, maintain a web site, and reach out to readers whenever I have the opportunity. What’s the most difficult aspect of writing for you? It’s all difficult on some level. Probably the hardest for me is getting into a book. I might have a vague idea for a story but working it out to sustain 300 or so pages is pretty daunting. Some authors can plot the entire book from the beginning. I can’t, although I wish I could. I’ve tried and tried over the years, but until I am with the characters, experiencing what they’re experiencing, I have no idea what will happen next. So getting through a rough draft can be quite painful. Once the story is down on paper, I do lots and lots of rewriting, but that involves far less hair-pulling and angst. You have an advice page for beginning writers on your website. Which of your suggestions do you consider most important? Oh, gosh. They’re all important, but you asked for the most important. I guess I’d have to say actually writing and writing and then rewriting. And doing so critically. Authors don’t write for themselves (that’s a journal), but to communicate to readers. So you have to examine what you’ve written and how you’ve written it in light of that goal. I’m one of the last people on earth without a Facebook or Twitter account. I have a website –http://www.jonniejacobs.com, and email –jonnie@jonniejacobs.com. I love to hear from readers and make a real effort to answer every single email (or letter) I receive. In these days of ever increasing demands on our time through the summer vacation time when kids are out of school, where do we find time to write? By the time I check email, answer the ones that need answering and check the day’s headlines, follow my favorite blogs and get some calls returned….it’s time to do some promo. 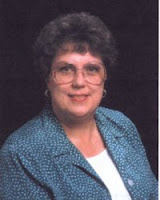 Need to post on Twitter and Facebook, Goodreads and Linked In, and don’t go looking at others’ pages, if I can resist. In between are household responsibilities and friends, volunteer work and bill-paying. And don’t forget the day job – in my case, editing. You may have a longer commute than I do – from kitchen to office – but I often work outside of “regular” 9 to 5 hours, finding myself at the computer late at night. Right now, we must include summer holidays and cottage get-togethers, shopping and travel as well and build them into our schedules. Don’t even think about the down time of getting a cold or allergies!! So, when does your writing Muse strike in the midst of the hectic life? Mine has been prodding at me a lot lately…and at times I can’t always indulge the urge. For me, the best time to write is at night. Everyone else is settled down and it’s “my” time. Add to the fact I’m a night owl and it makes sense. How about you – when do you write? My very special guest today is Caroline Clemmons who is one of the best writers I know. Her writing is smooth and clean and her characters become people you'd like to have as friends from the first page. Not all of them, of course. Some of them kill people. Authors are frequently asked how they conceive ideas for books. My friend Bobbye Terry answers that she orders hers from a small factory in Ohio. Fun answer, but not true. Authors are besieged by ideas from everything they hear, newspaper articles, and life. “What if” is our friend. For instance, I attended a seminar at Weston Gardens in Fort Worth, a lovely garden center with gardens, a lecture hall, and a gift shop in addition to plants for sale and landscaping service. My youngest daughter, Bea, and I enjoy Weston Gardens. They offer seminars on everything from tea to attracting bats. We love the place and admire the owners and their staff. My mind began whirling with “what if” a family owned business like Weston Gardens was run by a young woman? What if a situation arose that encouraged her to solve a murder? 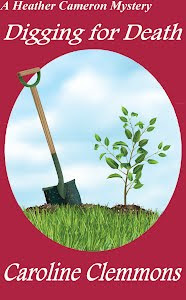 That’s all it took to send me plotting DIGGING FOR DEATH, the first Heather Cameron cozy mystery. The heroine is the only grandchild of Meg and Richard Gillentine, who raised her after her parents died twenty years ago. She is tall and gorgeous, but her duty to her profession keeps her from taking advantage of her good looks. Working with her are her best friend and shop manager, Chelsea Bedford, and her assistant manager Miguel Diaz. Heather is determined to prove to her grandparents that she is worthy of the trust they showed when they turned the garden center over to her. The murder of a client and the clues pointing to Heather's employee and mentor, Walter, sends her searching for the real killer. Heather is compelled to scour the fictional North Central Texas town of Gamble Grove to exonerate her old friend. She’s encouraged when the new police detective in town, Kurt Steele, shows interest in helping her look for clues. Or, is Kurt just interested in spending time with Heather? The deeper Heather digs into the dead man’s life, the more she justifies his ruthless reputation. 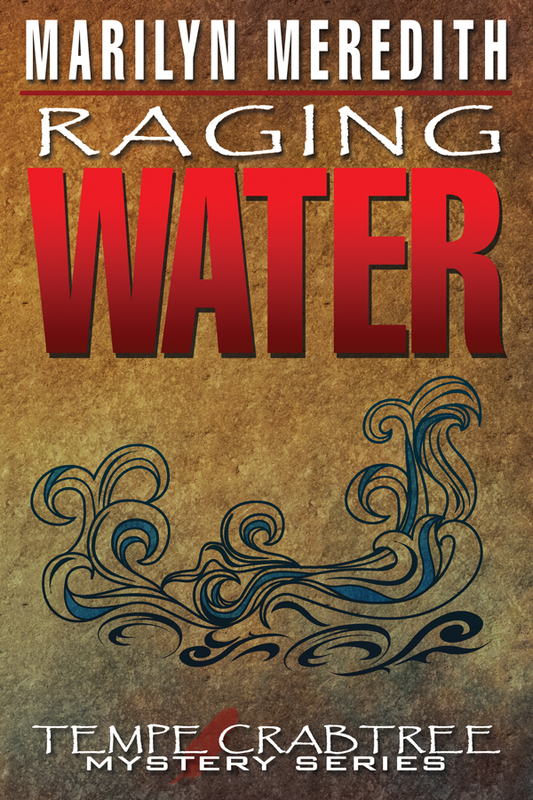 Walter is indicted, but police begin to suspect the victim’s stepson is the murderer. Heather is convinced the stepson couldn’t have murdered anyone either—although it’s clear no love was lost between the two men. The attempted murder of the victim’s real son creates a new twist. Can Heather solve the murder without becoming the killer’s next victim? Lining the Rockwell’s drive nearest the new garden plot were a fire engine, an ambulance, a van, what was probably an unmarked police car, two black and whites and—dang, wouldn't you know it?—the Gillentine Gardens truck. The muscles in my stomach were like vise grips clenched on my insides as I drove past the other vehicles and parked. Sickly dread overwhelmed me at what I might find. I wanted to turn my car around and drive home and run up to my bed and pull the covers over my head. No such luxury for me. I climbed out of my car and strode quickly toward the crowd, swallowing down fear’s metallic taste. Container rose bushes destined for Bootsy Rockwell's garden almost filled the garden center’s staked-bed truck. Miguel Diaz sat on the truck’s bed with his feet dangling off the end. Steve Harris sat beside him. Bad vibes shot through me. A uniformed policeman and another man stood talking to Miguel. Miguel looked ashen and ill, but he nodded to me. Steve said nothing, merely hung his head. "Hello, Heather." Miguel shook his head, despair evident in his sad brown eyes. "It's really bad." The officer turned to me. "You know the whereabouts of Walter Sims?" "He's supposed to be at the garden center. What's happened?" I repeated my question. Steve looked up, but said nothing. The man in plainclothes quieted Miguel with a glance as he stepped forward. Good heavens, what a giant. Must be six-four with shoulders broad as our truck. Even a long, tall Texas gal like myself had to look up to meet his gaze. Whoa. What a gaze it was. Worried and puzzled as I was, I couldn’t fail to notice his eyes were delphinium blue and his dark hair the color of moist peat moss was cut short. He wasn’t GQ handsome, but definitely attractive. "I take it you're Miss Cameron? I'm Detective Kurt Steele and this officer is Sergeant Jack Winston. We need to ask you a few questions." "Not until I know what's happened. Why are you questioning Mr. Diaz and Mr. Harris?" Darn, stress must have fried my mind. I couldn’t believe I refused a detective. "Vance Rockwell was murdered early this morning with Walter Sims’s shovel. We want to speak with Mr. Sims. No one here seems to know where Mr. Sims is.” He paused. “Do you?" Rockwell dead and Walter missing? Panic rose with the bile in my throat. No, please don’t let Walter be the killer. At that moment, paramedics wheeled a gurney bearing a black body bag past the truck and loaded it into the ambulance. Oh Lord, Rockwell dead from Walter’s shovel? And Walter hated him. Carole King was in my head, and the earth really did move. Dropping away from my feet, leaving me drifting. The sky tumbled down. Swirling, everything was swirling. Spiraling around me. I thought I might throw up or pass out—or both. The detective stepped forward and grabbed my arm, anchoring me in the mixed up universe. "Miss Cameron? Maybe you should sit on the truck by Diaz and Harris." But the sky still tumbled, the earth spiraled around me. I was a kid spinning until I was drunk with dizziness. Sky flipped places with earth. Up. Down. Up. Down. Up. Down. "Yes...Yes, I’d better." With Detective Steele's help, I staggered to the truck. I shrugged off his hand intent on levering myself onto the bed. But I stood there as if in a trance. The detective hoisted me up onto the truck as if I were a small kid. I sat there wondering if I were going to pass out. I did as he instructed, closing my eyes and taking a couple of deep breaths. When I straightened, my head was throbbing but the earth and sky had resumed their correct positions. Sky above, earth below. Willing my eyes to focus on the detective, I insisted, "Walter wouldn't bash in anyone's head." I prayed I spoke the truth. Detective Steele referred to his notes. "It appears he and Mr. Rockwell had a heated argument yesterday about a quarter of five. Mr. Sims stalked to the truck—“he pointed at Steve”—where Harris waited, and peeled off." Drat Walter, coming here when I’d ordered him to stay at the garden center. "If you consider anyone who argued with Rockwell a suspect, you'll be interviewing half the state." I almost included myself but thought better of it. "Besides, you said Walter left." Sergeant Winston said, "Maybe he returned." "Phffft." I peered at Detective Steele. "Sounds like you’re grasping at straws. What kind of detective work is that?" Steele's clenched jaw displayed a small tic. Oops, I shouldn’t have said that. There's a thunderstorm booming away outside as I write this. My wife says I need to get off the computer, that a woman was hit by lightning while on her computer when her house was struck. I figure the odds are pretty long on that happening again. But the weather can do some decidedly dramatic things. I've read some writers say you shouldn't talk about the weather in your book unless it's a central theme of the story. I respectfully disagree. I frequently describe clouds or wind or rain or snow as part of setting the scene. The recent heat wave has everyone thinking about the weather. To leave it out of our stories would be like avoiding smells and colors and other things that round out the description of what's going on about the characters. 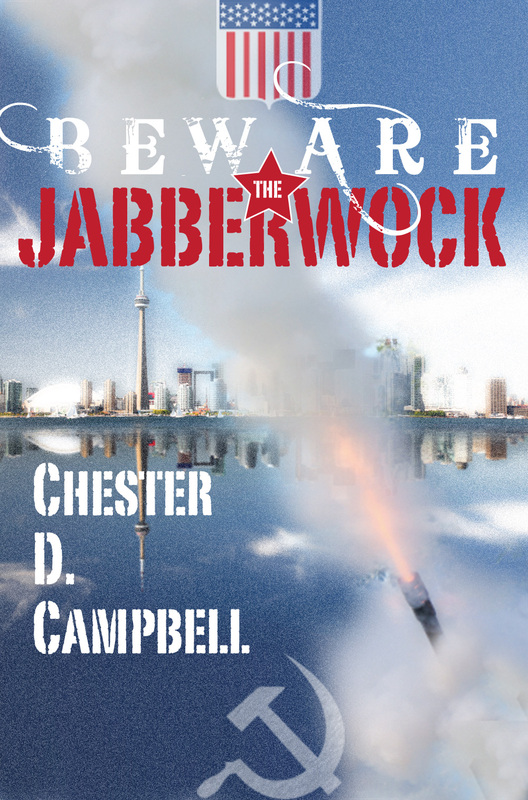 In my newest book, Beware the Jabberwock, the weather frequently has a bearing on the story. Rain-slickened streets in Hong Kong are seen as a contributing cause to an accident. Weather conditions have to be just right for an aerial photography mission over an island off the Florida coast. A violent thunderstorm nearly wrecks a sailboat escape. And at the book's opening, a cold, blustery rain helps set the tone for a crucial meeting in Vienna of former Cold War enemies who agree on a diabolical plot. I agree that giving elaborate details on the weather in a routine manner is unnecessary and a bit of overkill. But when a scene is outdoors, especially, a brief comment on atmospheric conditionns gives the reader a better feeling for what the characters are experiencing. Of course, when a book's plot depends almost wholly on a weather phenomenon, there's no question of its relevance. I had never heard the term "derecho" until I read William Kent Krueger"s Northwest Angle. After the one that slashed across the Midwest recently, nearly everyone now knows it's a long-lived straight-line windstorm associated with a band of severe thunderstorms. They move at greater than hurricane force. 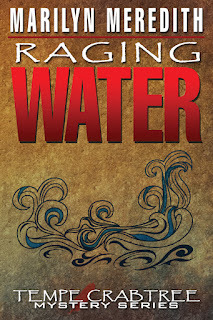 Krueger's book deals with the storm and its aftermath. The thunderstorm is gone as I finish this, and obviously I didn't get struck by lightning in the process. My wife is more fearful of the weather's vagaries. I was in a tornado when I was seven, and I've slogged through just about any kind of muck you can imagine over the years. I remember when my four kids were small experiencing a violent thunderstorm, with searing streaks of lightning hitting all around us, as we watched from a small cabin in the foothills of the Great Smoky Mountains. Everyone enjoyed the spectacle. I say bring on the weather in our books. It adds an exciting dimension to the story. Most readers and maybe even some writers don't realize how important it is for a writer to have a plan for the promotion of each book. In fact, some publishers make their decision about whether to accept a manuscript based upon whether or not the author has a marketing plan or a least a presence on the web. I've already been letting people know about the book on Facebook and other places. I'm ordering business cards with the cover on one side and the information about the book on the other. Of course I'm still promoting No Bells and the others in that series. I had my latest books in both series at the PSWA conference this past week. And I'll be taking books to the Nipomo Library Fall Fair on the 4th of August. 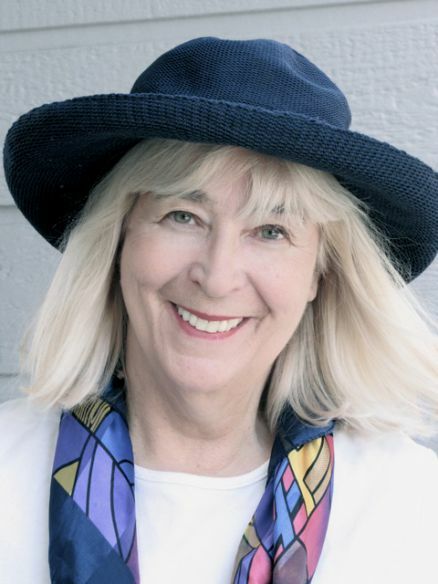 A group of writers in Oakhurst invited me to lunch with them on the 31st of August and that afternoon I'll be presenting my interactive talk on How to Write a Mystery at the Willow Bridge Bookstore. I will have my books at the Visalia Taste of the Arts in September. In October, it's the two day Apple Festival in my little town. In November, we're driving to Redding (6 plus hours) for the Northern California Writers Forum. And I hope to be participating with the Porterville Art Association for their two day Christmas Craft Sale in December. And yes, I'm writing. I'm reading the first draft of the next Rocky Bluff P.D. crime novel to my critique group and writing a new Deputy Tempe Crabtree mystery. When I put the first in a trilogy of Post Cold War thrillers on Amazon for the Kindle, I decided to opt for the KDP Select program. I had heard lots of interesting chatter about how the free book option could affect sales. If you're unfamiliar with KDP Select, the author agrees to make the book available exclusively for the Kindle for ninety days. During that time, you have five days to offer free downloads. Also, Amazon Prime customers can borrow a copy from the Kindle Owners Lending Library free and the author shares in a pot of money that runs around $600,000 a month. Sounded like a good deal. For authors like my friend Tim Hallinan, who has a new Poke Rafferty Bangkok thriller, The Fear Artist, coming out next week, it's a great deal. He gives away multiple thousands of books on free days, and he sees an uptick in sales of his other books. He also collects cash on borrowed books. Unfortunately, I'm not in the same league as mega-sellers like Tim. I'm a small press writer with small press sales numbers. A couple of weeks after my book became live on Amazon, I used two free days. I promoted it on several groups, including mystery list DorothyL, in my blog, Facebook, and anywhere else I could think. I checked my rankings frequently during those days, and it went down to double digits. My KDP Report showed almost 500 free downloads. Although it didn't approach Tim's numbers, I was elated. But as I kept checking in the days that followed, I found no uptick in sales. I had hoped one result would be at least a few reviews. Didn't matter whether they were good, bad, or indifferent. After nearly three months, there has been none. Ditto for Prime borrowers. With the ninety days running out next week, I'm preparing to put the book up on Smashwords where it will be available for all the other ebook readers. With three free days left before my time runs out, I decided to do a little experiment. I scheduled the gratis downloads but did no promotion. The only mention of it is on my blog, which has had only a handful of readers so far. Guess what I found. At 10:55 p.m. last night, the first day of the giveaway, 140 copies had been downloaded. It ranked number 49 in the suspense category. How did people find out about it? Beats me. But I suspect the results will be the same as before. The Kindle will hold up to 1400 books. I expect most of those downloading my free book will leave it buried deep in the device's digital innards until God knows when. It was an interesting experience, but I don't think the Kindle Select program is for people like me. For those with a name that commands respect in the marketplace, go get 'em. Well, I'm getting ready to embark on a new adventure -- trying to write a series. I've got the bare bones in my head and I'm almost...almost....brave enough to start. Of course, I must finish my work in progress first and get that to the publisher. So, technically, we're a ways away from metaphorically putting pen to paper, but the characters are wanting to get to know me. Since I'm a seat-of-the-pants, or pantser writer, I fear the series will be a challenge. So many more balls to juggle as the books move along. I think I'll end up creating a file for all the basics of the characters, the setting, the secondary characters, etc. Since my office is part of our family room, I can't exactly have Post-It notes everywhere! Well, I guess I technically can, but not a good look for when we have company for the evening. And strange as this sounds, I think I'll be more comfortable a couple of books into the series. By then, the main characters will really feel like friends, I'll know just how they'll react in various situations and how they speak. Do those of you who've written series books feel that way, too? And I'm sure some of the situations and secondary characters who show up will trigger new plots and new mysteries. At least I do hope so or it could be a short series! LOL I just have to be sure not to kill off that supporting cast member before his or her mystery unfolds. I've always enjoyed reading series -- Sue Grafton springs to mind right away, but I don't think I have an alphabet's worth of stories for my characters. At least not yet! What I've found interesting about the Kinsey Milhone stories is that the time doesn't pass particularly fast. Each book is not a different year. It could be a few days or a few months along. I tend to think of series as big and sprawling across years. Guess I'll learn how fast my characters bump into another mystery as we go, since I'm a pantser. Who are some of your series favorites and why? Bette, how did a nurse from the Bronx meet and marry a journalist from the Hoosier state? On a summer break from my nursing program, I drove from New York to Albuquerque to see my brother. He and J.J. (I didn’t know him then) were journalists in the Associated Press office there. People talk about time standing still, and it sounds romantic, even poetic to talk about love-at-first-sight. But that’s how it happened. It was a beautiful summer night at an impossibly crowded, raucous party when the two of us found each other in a single glance. That was the moment a girl from the Bronx and a boy from Fort Wayne became one. P.S. Our first date lasted a full 24 hours, and J.J. asked me to marry him on our second date. Your name suggests a Native American background. How did it come about? Actually, my parents emigrated from Russia when they were in their teens. I’m first generation American. But it’s funny you bring that up because an uncle of mine looked exactly like a picture of Chief Joseph; I mean a dead-on image. When did you and J.J. decide to collaborate on crime novels? I had this greatidea for a novel, so I passed in on to J.J., the writer. He seemed to like the idea, but he sure as heck wasn’t going to do anything about it. I brought it up now and then, like every week for two years. One day he dropped a ream of paper on my drafting table. “You like it, youwriter it.” You don’t need to hear the rest of that conversation. But his challenge did start me on the road to writing. 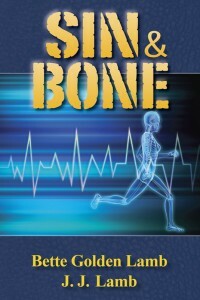 Several years later I had the idea for Bone Dry, and the RN Gina Mazzio series was born, along with our collaboration. How do you resolve differences while co-authoring a book? Well, we duke it out, of course :-) Truthfully, it was very hard in the beginning. There were many, many, many conversations about everything. And I mean everything! When I think back to our early collaboration, I have to admit that J.J. was a saint. Some of things I came up with were really off the wall. In fact, they were so weird, I refuse to remember any of them. J.J. must have laughed himself to sleep every night. Now, when we have a disagreement about an in-progress book, the answer always lies within the characters and the story. That resolves most issues. Any ego trip, by either of us, always defeats the work and the collaboration. Your job as an RN is obviously great background for your medical thrillers. Have you based any of your plots on true life experiences? In Sin & Bone, our second Gina Mazzio book, the story is about a killer calling a hospital advice center. I’ve been an advice nurse for many years. But realistically, everything in our medical thrillers has its roots in my career as an RN. The mood, the rhythm, the lingo in medical situations is almost impossible to replicate without having that specific experience. Being there reveals so much about the heart and determination of the people in that special environment. It’s what gives the stories reality, and above all, immediacy. When we wrote Bone Dry, I’d worked with cancer patients but never on an oncology unit. Still, when I spoke to the nurses in that specialized field, I found them generous with their time. They even invited me onto the unit where I was able to see and absorb everything we needed for a tense, scary story. How do you find time to write when you’re also a ceramist and sculptor as well as a nurse? You must be very organized. I used to take my laptop to work with me and during my lunch break, I would rush out to my car and write -- every single day. On weekends, I would dive right into my art work. It did take tremendous organization, dedication, and plain old compulsive nuttiness. I don’t know why I’m so driven to create. I just am. If you had to choose just one of your pursuits, which would it be and why? I did make that choice a while back -- I left nursing. However, I stay as up to date as I can with what’s happening in the nursing and overall medical fields. I loved nursing -- it was a privilege to help people, to be a vital part of their lives. So even though I was reluctant to give it up, I finally did. But writing and art are passions that I could never give up. They give me the precious freedom of expression, and provide a vision of life that can’t be replicated by anything else. Being able to create something beautiful to behold, or write something exciting, not only nourishes my soul, it makes me feel like one of the luckiest people in the world. If writing is your thing, you’ll need a day (or night) job doing something that makes you feel worthwhile, something that gives you satisfaction at the end of a long day. It’s just too difficult, or almost impossible, to survive on what you can earn form creative writing. Sure, sure, some writers immediately make it to the top. And sure, talent is always an issue. But all too often luck is what drives success in the creative arts. In case you’re not one of the ones who strike it rich, or have some of that rare publishers’ fairy dust fall on your brow, be prepared to support yourself and live to write another day. As I said, if writing is your thing, you’re already one of the luckiest people in the world. For most of my life, I have been a sun worshipper. It started when I was a towheaded kid with a face filled with freckles. As soon as the temperature heated up in my hometown in North Carolina, my shoes came off, and shorts went on. A shirt was appropriate only when Mom made me wear it because we were going somewhere special. I baked my skin a golden brown, almost as dark as my freckles. I only lived a few blocks from the municipal pool, so each afternoon I was in and out of the water—well, each day that I could convince Mom or Dad to give me the ten cents admission fee. Usually, after telling me all the reasons I couldn't go, the dime was forthcoming, along with numerous warnings to stay safe. And I got darker. That's not to say it was play all the time. I had chores. We had an old push mower and it was my job to cut the grass. Note I didn't say mow the lawn. First, that mower was so inefficient and cranky, it only cut sporadically, and second, we didn't really have a lawn. But we did have open areas around the house where wild grass and weeds survived. So there I went, pushing that rotary lawn mower back and forth, using some rather expressive language to let the mower and the weeds know how I felt their existence. And I got darker. During those years, I discovered the local library. So on the days I wasn't swimming or playing cowboys and Indians, I'd jump on my bike, race to the library, check out a book, and soon be stretched out on a towel reading. And I got darker. The years rolled forward, and I became a teenager. Everyone said the girls went for the outdoorsy-looking, macho guys so at every opportunity I worked to tan. Shorts and flip-flops. That was standard attire most of the time. And I got darker. The rest of my life pretty much followed that pattern. Soak up as much sun as possible. I measured my "healthiness" by how dark I could get during the summer months, no matter where I was. Until about ten years ago. That's when my doctor first noticed a spot he didn't like. He suggested I go to a dermatologist, and I've been going at least every six months since. The dermatologists have changed as I've moved around, but the procedures have remained constant—freezing and slicing. My latest doctor is an energetic young woman (everyone is young from my vantage point) who always has a canister of frozen nitrogen in one hand and a double-edged razor blade in the other when she comes into the room. And she's adept at using both of them—and gets lots of practice. Recent developments in treating pre-cancers have produced something called the Blue-U treatment. I had forearms and scalp done last year, and on June 6th, they blasted the forearms again with a stronger approach. It's an interesting treatment. They "paint" the affected area with a special acid then send you away for three to four hours. My latest was four hours. Then I sat with my arms in the "light housing" for an exact amount of time—sixteen minutes and 40 seconds. This produces the equivalent of a bad sunburn. The doctor has explained how the approach targets the pre-cancerous cells and zaps them, but all I feel is the burn. Hopefully, this treatment will be my last for a while. However, I have little expectation it will end my visits to my dermatologist. I'm sure I'll see her armed with her liquid nitrogen and double-edged razor blade many more times—at least every six months. I remember all those glorious tans and ask myself it they were worth it. Sun, sweat, swimming pools, beaches, gardening, convertibles with the top down . . . It was all fun. Would I do it again? This past Thursday night I gave a presentation to the library in Los Osos. This is a small community on the west coast in San Luis Obispo County and next to Morro Bay. (We live 3 hours away in the Central Valley but up in the foothills.) Any chance we can get we head over to the coast--it's way cooler and beautiful--plus we have lots of friends in the are, most mystery writers. My presentation was on How to Write a Mystery. I talked about the different kinds of mysteries and what the ingredients were for a good mystery. I gave everyone a form to fill out so they could come up with what kind of mystery they wanted to write (cozy, puzzle, standard, police procedural, private eye, etc. ), who the sleuth would be, the sidekick, setting including time period), the victim(s), motive, suspects, murder weapon. While each person came up with their ingredients for their mystery, I gave them them some ideas. Two young girls (around 9 or 10 came) and I let them know they didn't have to kill anyone but just come up with a good mystery, maybe a secret, or a mysterious house. The next evening, the members of the Central Coast had a nice dinner for hubby and me hosted at Sue McGinty's home with members of the Central Coast Sisters in Crime, Victoria Heckman, Susan Howe, Karen Kavanaugh as well as her hubby. Oh, did we have a great time eating, catching up and talking about mysteries and all they entail. What about the rest of you, what kind of social events do you most enjoy? I grew up in northern Ontario and love its lakes and forests. But I lived in Santa Monica for decades watching big money, land development, and politics clash. Getting a good murder mystery novel out of what goes on behind the scenes in grassroots politics, glitzy businesses, and developer skullduggery makes all those dreary Santa Monica city council meetings worthwhile. I live now in a village in the California mountains, not that far from the edge of the Los Angeles sprawl. There's too much to do here: I'm writing crime fiction seriously, but I can't get away from the SPCA, local environmental politics, and the writing community. 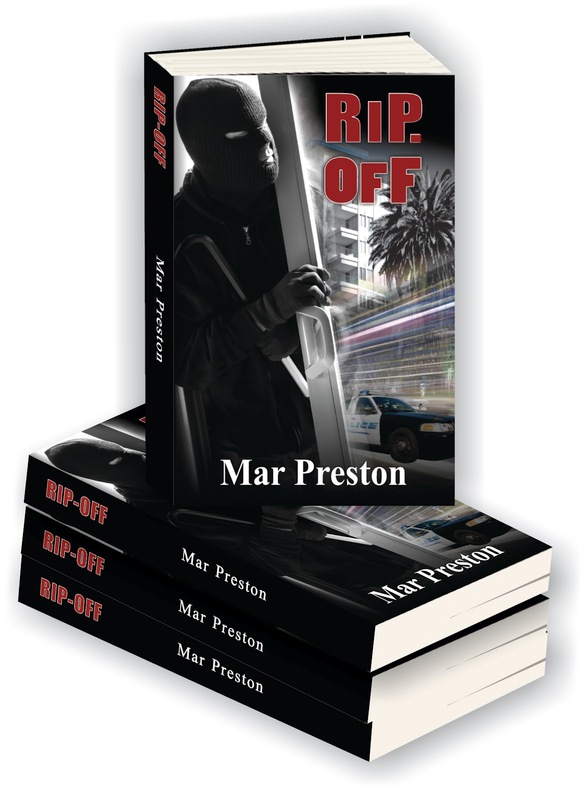 Mar's new book, Rip-Off, featuring Detective Dave Mason of the Santa Monica Police Department was just released June 15, 2012. Today, she's sharing something about its journey to publication. So what the world says? Well, so what is that one phase of hard work ends and another begins. Looking back now, writing the book was the easiest and most pleasant work. I got to live in the heads of two people I like a lot—Dave and Ginger—the major characters. Dave’s a cop. Ginger is Dave’s community activist girlfriend, a troublemaker in the first book, No Dice. A lot of people liked both characters and I made a decision in Rip-Off to make what happened to Ginger the way it would be in real life. In the first book she is abducted by a psychopath and the threat of torture and death is danced in front of her eyes. Only by using her wits does she manage to escape, and no, it’s not by leading him on a chase through the mean streets of Santa Monica where both novels are set. It’s a unique escape, growing out of the character’s resources and the context of the story. I like realism and characters I might want to know in real life. Once I see a character shot in the shoulder who then rappels down the side of a building to chase the villain in a car speeding away, I’m likely to just clap the book closed. Sometimes I read for escape, like a delicious Maeve Binchy novel, but I know what I’m getting and that’s what I want. But if I pick up a book to find the protagonist is a hard-bodied intellectual who is a martial artist, speaks Chinese and is a chess champion, un uh. Nope, I don’t know anybody like that. And he’s a sharp shooter too, you say, and a retired millionaire? Oh, yeah, not interested. In Rip-Off, Ginger is suffering the effects of PTSD knowing how close she came to being tortured to death. She reacts as you and I would. She got the stuffing knocked out of her and becomes less of the breezy, community activist who is a thorn in Dave’s side. She discovers how hard it is to find a new job. I’m hoping that seeing a likeable character grow and change and adapt themselves to life as we know it will interest readers as well. 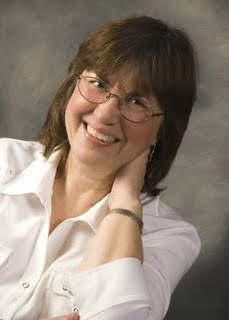 Please leave a comment to welcome Mar Preston to Make Mine Mystery.